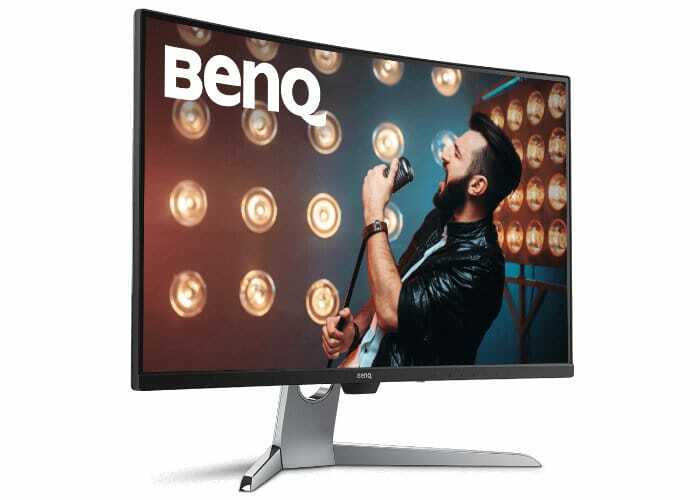 Benq has introduced a new gaming monitor which very likely ticks many boxes for PC enthusiasts and gamers out there - or at least it plays a good game of monitor tech buzzword bingo. The new Benq EX3203R is, in brief, a 32-inch curved gaming monitor with a 144Hz refresh QHD panel, offering HDR visuals, FreeSync 2 compatibility, and much more. Physical: weighs 8.1kg and comes with stand offering 60mm height adjustment and -5˚ to 20˚ tilt. Also VESA mount compatible. Not mentioned in the specs above are the display’s ultra-slim bezels. Benq doesn’t quantify the bezel sizes but the multi-monitor setup example photos look pretty good, certainly competitive with rival brands. 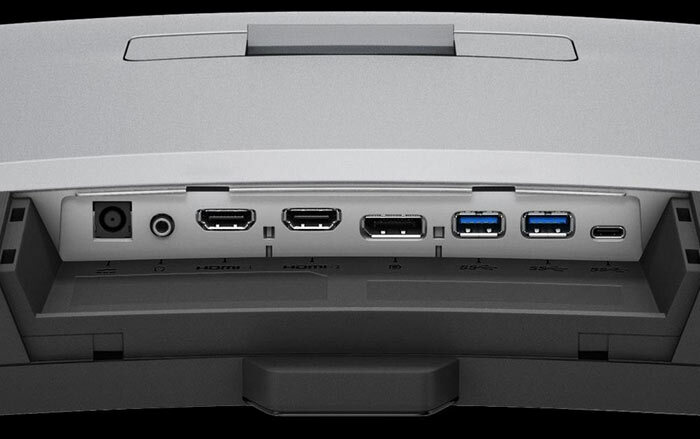 The USB Type-C port can be used for power delivery, high-resolution video (2K) and audio, plus SuperSpeed data transfers. You can power the EX3203R with the in-box adapter too. FreeSync 2 tech was introduced over a year ago by AMD. The key qualities of FreeSync 2 monitors are that they provide low-latency, high-brightness pixels, excellent black levels, and a wide colour gamut to display High Dynamic Range (HDR) content. 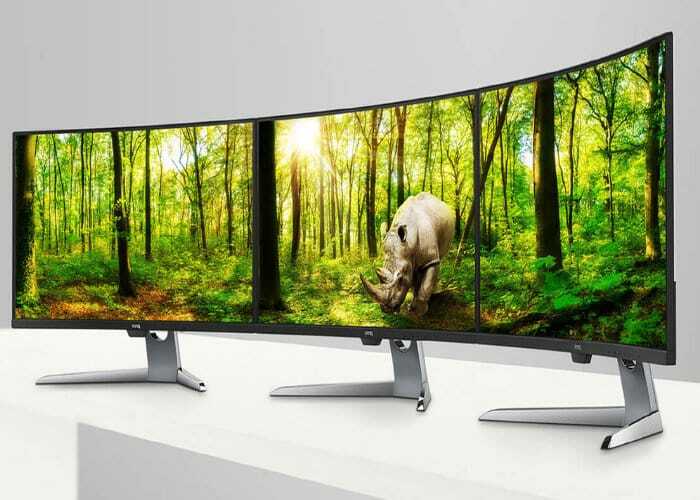 Additionally the monitors will provide Low Framerate Compensation (LFC) compatibility for ultra-smooth gameplay. All FreeSync-compatible Radeon GPUs support FreeSync 2 technology. If you haven’t heard of Brightness Intelligence Plus, Benq explains that it works with HDR visuals to gently soften bright areas, to prevent over-exposure, while keeping dark details crystal clear, even in dimmed environments. Rather than some gaming ‘hidden opponent in shadow’ or similar feature, Benq categorises this feature as preventing eye strain. Benq has yet to provide pricing and availability details at the time of writing.